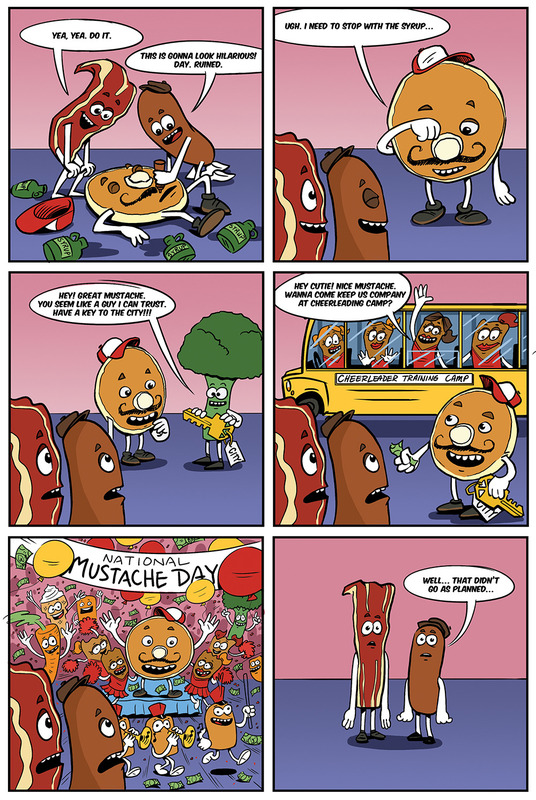 Who is Sausage? Well, he’s complicated. 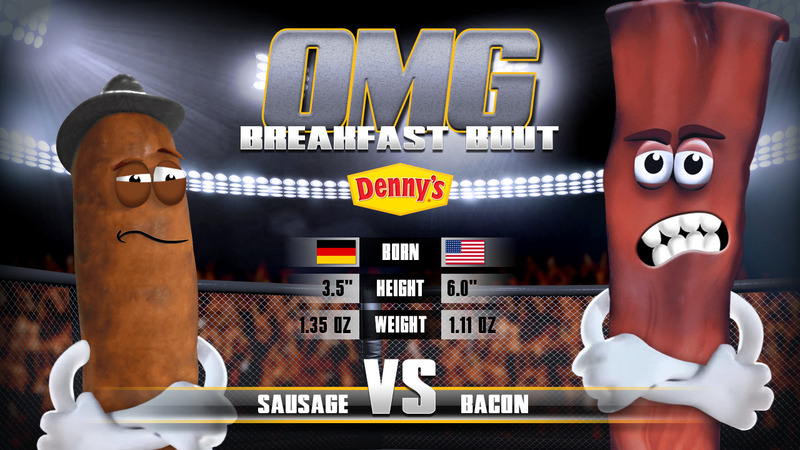 You see, it’s hard living in the shadow of Bacon, America’s favorite breakfast side. And sometimes his insecurities get the best of him. But we can’t hold that against him. For a guy who can be a little spicy at times, he’s ultimately a good person. Err… food item. The ladies love me. They just don’t realize it and probably never will. Sausage lets the wind blow through his, um, hair, while he contemplates the mysteries of life. Bacon told Sausage that if he wants to get women, he should learn to play a musical instrument. Unfortunately, Bacon never specified which musical instrument. It’s not a diary. 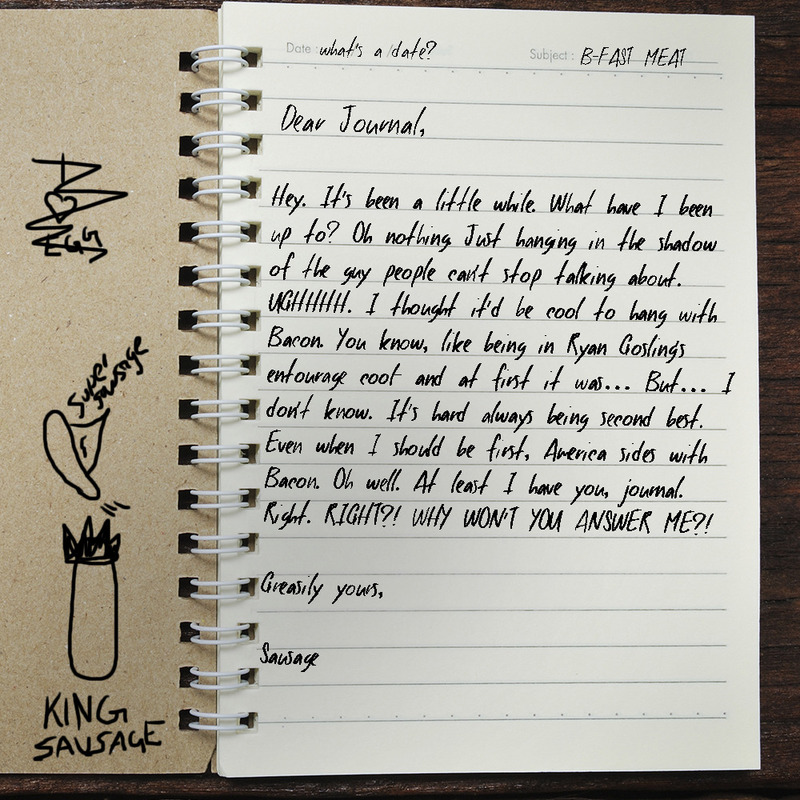 Sausage is a man, and when men write down their thoughts and feelings, we call it a journal. Then we steal it and post it online.